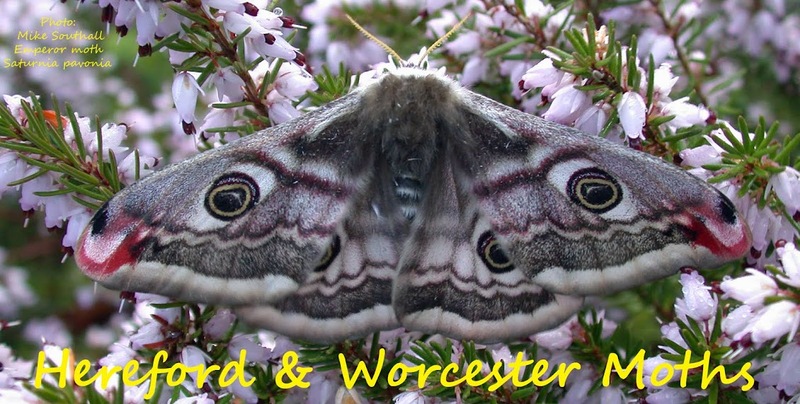 Although just outside both Herefordshire and Worcestershire, Laura Padley at Bromsberrow Heath (Glos) kindly sent me an image of an unknown 'flatbody' potted up on her back house door, under a conveniently placed soft light. Depressaria albipunctella had been distantly on my radar as it occurs vary sparingly at nearby Staunton, Berrow and the southern Malvern Hills ridge. However the only record this century in VC37 was at Carpenters Farm on 12th May 2006. 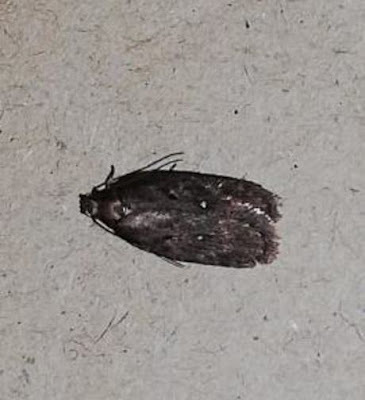 So I was delighted to confirm the live moth on Tuesday evening and Laura has provided a record shot of what is a very scarce Na status species!